Very often when people decide to lose weight, they set their sight on their final goal – but if you have a lot to lose, this can be a long way off and the journey feels quite daunting which is not great for keeping yourself motivated. So my advice is to set your weight loss goal in a series of mini steps – 10% is a good amount to aim for each time. It also means that your success along the way is acknowledged positively. It’s really important to celebrate all your success – every pound (or kilo), half stone, stone! We tend to be quite dismissive of losing just a couple of pounds, but actually, volume wise, it looks like a lot! What you may not know is how just how valuable losing 10% of your body weight is if you are overweight. 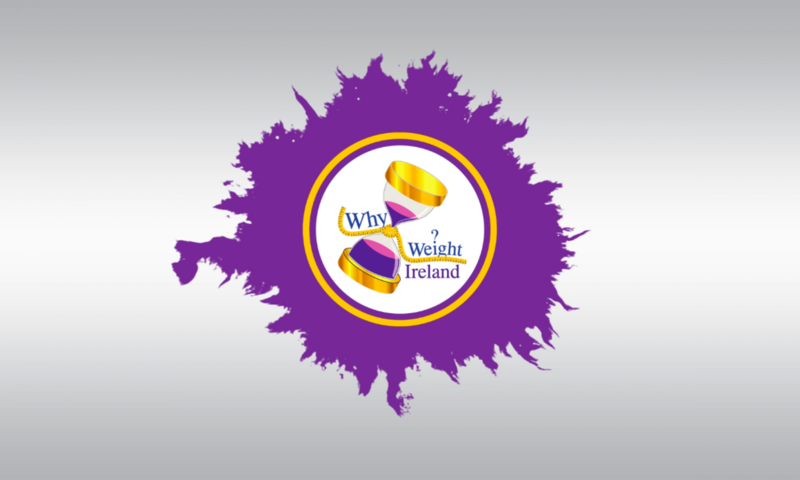 So for example if you weigh 15 stone – 10% would be a loss of 1.5 stones. It might not seem like much in the whole scheme of what you’d like to lose, but don’t underestimate the positive effect this has on your overall health. Keep reading below to see what exactly that 10% weight loss makes to your body for each of the above ten benefits. Let’s take a closer look at the changes going on in your body…. A common measure for type 2 diabetes is haemoglobin A1c – which checks how much your haemoglobin (a protein found in red blood cells) has been exposed to sugar over time. This then gives an indication of how well blood sugar levels have been controlled over a period of time. Research has shown that with just a modest weight loss of 10%, hemoglobin A1c levels can reduce a measureable amount. One study by Wing et al (2011) recruited participants from the US look AHEAD study, who were tasked with losing 10% of their body weight – with the help and support of trained individuals. They checked baselines measures of hemoglobin A1c and again after various levels of weight loss. The results showed that individuals who lost between 5-10% of their body weight, had an average reduction of hemoglobin A1c levels by about half a percentage – which is a significant drop! These results suggests that a 10% reduction in weight can help to reduce blood sugar levels and so reduce the risk of developing type 2 diabetes. A common cause of type 2 diabetes in overweight or obese people is insulin resistance. This occurs when the body’s cells become resistant to the effects of insulin – which is a hormone released by the pancreas to cause cells to take up sugar. With insulin resistance the pancreas produces more and more insulin to try and increase its effects, which results in high levels of circulating insulin. This then causes weight gain – in particular extra fat tissue forms around the middle. Over time insulin resistance can then develop into prediabetes or full blow type 2 diabetes. As well as causing other health issues such as hormone imbalances. The good thing is research has shown that losing just 10% of body weight, can reduce insulin levels in the blood – which in turn reduces the risk of developing type 2 diabetes. Win! High blood pressure or hypertension is a common side effect of being overweight or obese. This can then lead to further health problems such as cardiovascular disease. A normal blood pressure reading is around 120/80 mmHg and above this is considered prehypertension and then full hypertension above 140 systolic (the top number – diastolic is the bottom number). A systematic review (Siebenhofer A et al, 2011) of 8 different studies into weight loss and blood pressure, found that even a modest reduction in weight of 10lbs resulted in a reduction in blood pressure – an average of 4.5 mmHG and 3.2 mmHg for systolic and diastolic respectively. So it seems losing just a modest amount of weight if you are overweight, can help to significantly reduce blood pressure. Being overweight or obese can increase our bad cholesterol (LDL) levels and reduce our good cholesterol (HDL) levels – which in turn increases our risk of cardiovascular disease. This is because bad cholesterol can cause fatty build ups in our arteries which put stress on the artery walls, and can lead to blockages which cause heart attacks and strokes. Good cholesterol is known to have the opposite effect as it carries cholesterol away from the body’s tissues, back to the liver where it is broken down. Research has shown that losing just 10% of our body weight can result in a significant increase in good cholesterol levels – which helps to protect against cardiovascular disease. Triglycerides are the fats found in our blood and high levels have been associated with an increased risk of diabetes and coronary heart disease. These are influenced by diet but also tend to be higher in people who are overweight or obese. However research has shown that losing just 10% of body weight can result in a reduction of triglycerides in the blood by as much as 20%. Being overweight or obese can increase the chances of developing sleep apnoea- a disorder in which breathing is paused at various times during sleep. It’s thought to be caused by excess tissue, due to being overweight, causing strain on the muscles around the throat – which causes them to collapse and partially block the airways. Research has found that losing 10% of body weight may reduce the severity of sleep apnoea, and may even in some causes reduce the effects so much so that treatment is no longer needed. A study by Schwartz et al (1991), investigated the mechanism of this effect by measuring the upper airway critical pressure in 13 subjects, before and after weight loss. The results showed that weight loss reduced the upper airway critical pressure, which is why there was a reduction in the severity of sleep apnoea after weight loss. Inflammation of metabolic tissue is a symptom associated with being overweight, as fat tissue produces pro-inflammatory cytokines in the body, which are cells that promote an inflammatory immune response in the body. Chronic inflammation caused by being overweight has been found to increase the risk of diseases such as diabetes and cardiovascular disease. Research has shown that weight loss which reduces fat tissue in the body, will result in reduced inflammation also. And while the more weight loss the better, modest weight loss of 10% will also have a positive effect. Some individuals who are overweight or obese, suffer with depression as a symptom of their weight. While we’ve long known that exercise and a healthier lifestyle can boost mood, it’s also been reported that losing 5% or more of body weight if overweight to begin with, can result in significant improvements in self reported mood. One study by Alfaris et al (2015) looked at the sleep quality and mood of 390 obese men and women at baseline and 6 months into a weight loss intervention. The results found that at 6 months, if the participants had achieved 5% weight loss or more, they reported significant improvements in both sleep duration and mood. It could be a combination of factors causing the improved mood, for example the extra sleep, but all in all positive benefits appear to be attributable to weight loss alone. Being overweight puts pressure on joints in the body which overtime causes movement restrictions due to pain and other side effects. A review of various weight loss intervention studies by Vincent et al (2013) concluded that weight loss significantly improved pain scores and movement capabilities in overweight individuals. Even as little as 1kg weight loss was seen to cause positive results, with higher weight loss of 5-10% having more positive effects. And to top it all, a team of Australian researchers found that losing just 13lbs could bring the levels of pro-inflammatory cytokines in overweight individuals down to the same level as their healthy weight counter parts. Which results in an immune system that’s working with us rather than against us – result! Over the past few day you will have read the top ten benefits of losing 10% of your weight. The next time you’re feeling down because you still feel you have a way to go to reach your goal, just remember that every pound (or kilo) you have lost so far is benefiting your health – and that is the end goal, right? Focus on what you have achieved. With every pound lost, you are getting closer to the healthy weight range and your body is thanking you!